There are so many choices out there when it comes to deciding on a fleet car. Whether you’re looking for something cheap or looking to impress potential clients – there’s a diversity. So, let’s take a look at some of the best for 2016. The VW Golf is normally the best hatchback on the market, and the current Golf model is the best all-around hatchback. However, the Golf Mark 7 is due to make its debut later this year. 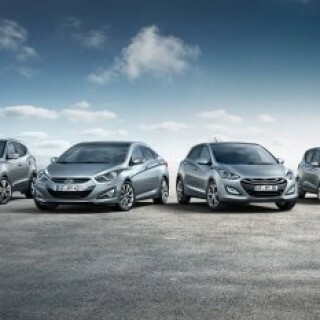 Do you really want to be stuck with a hatchback that is at the end of its current production? If not, look at the Kia Cee’d. It is extremely comparable to the VW hatchback. 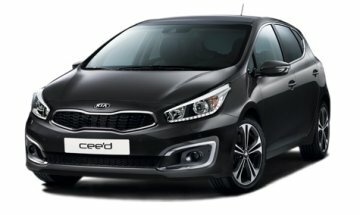 The South Korean car maker, Kia, has come out with a car (the Cee’d) that rivals BMW. In fact, this car was designed to pay homage to German car makers. The impressive manufacturing offers a care that is spacious and gives the car owner a refined driving experience. Fuel economy and car tax rates are amazing in this hatchback. If you have a large fleet, you know how important the Benefit in Kind (BIK) tax is to your company. The Skoda Octavia offers 60 mpg or better fuel economy. It features a large cabin with plenty of leg room, satellite navigation, air conditioning and Bluetooth. This car is similar to the Ford Focus Zetec. Skoda also offers deep discounts, strong resale value, and good reliability. This is especially beneficial to those companies that prefer to purchase vehicles rather than lease them. It’s also not a massively high insurance group which is great for lower costing commercial fleet insurance. The Skoda Octavia is produced by the Czech automaker, Skoda Auto. The Skoda was developed to rival other cars in this size, including the Audi A3, Volkswagen Golf, and the Volkswagen Jetta. Skoda features amazing fuel economy and plenty of luxury features, including a large air conditioned cabin and a spacious trunk area. Tesla offers amazing tax breaks, awesome performance, and luxury to business owners. The updates on the line mean your company can afford this luxury line of vehicles. The latest line offers all-wheel drive instead of their previous rear-wheel drive option. The all-wheel drive vehicle handles great and is an affordable luxury vehicle. The model S Tesla is quick on the go and holds its own in the market. The electrical infrastructure (ranging up to 275 miles) helps ensure you can drive this car further than you can imagine. The Model S by Tesla delivers unprecedented acceleration with their electric powertrain. Model S has been dubbed the evolution of auto engineering. It is able to go from 0 to 60 mph in less than 3 seconds, all without using one drop of gasoline. The ultra-quiet powertrain ensures a quiet ride. This coupled with an amazing sound system lets drivers enjoy the power and capability of this awesome car. The new BMW 3 series is one of the newest and up and coming models on the market. The new BMW 3 series features Efficient Dynamics, also known as ED. ED is BMW’s terminology used to describe a car that is optimized on the maximum economy while minimizing carbon dioxide emissions. Its refinement and class are second to none. The car features an automatic gearbox with a spacious interior. You will enjoy owning this beauty. Whether you are traveling on business or simply enjoying the day out, the larger engined 3 series by BMW is sure to please. The only caveat to consider when purchasing this car is the back seat. If you regularly have 3 people in the back seat, you may need a bigger car than the BMW 3.